Emma the Eager Emu has patience and persistence, so does Frazzled Freya. In both these picture books my main characters learn the essential life lessons that to achieve anything in life you must practice, be patient and continue to try. One thing is certain, I have also learnt this lesson. In my blog post in May, I wrote about my chapter book set in Bali and how after almost twenty years of writing, rewriting, editing, learning and more editing and rewriting, I finally felt my baby was ready to go out into the world . First I submitted the first three chapters for a manuscript assessment by the incredibly helpful Sue Whiting at the Creative Kid Tales Festival in March. Following Sue's advice I returned home motivated and full of ideas for more rewrites and edits. When finally I felt the manuscript was complete, I found the courage to press the send button and begin the submission process to publishers. I waited with baited breath. Just when I started to allow self doubt to take over again, I received a reply. An offer of publication! You can imagine my excitement. To say I jumped for joy would be an understatement. I squealed with delight and ran around telling anyone who would listen. It's not everyday your dream comes true. The story has improved quite a lot over the years. It is almost unrecognisable from it's original draft. The setting and characters are the same, (almost). We have had a gender change. Instead of three brothers, the middle child is now a sister. It was a great suggestion by the publisher and I couldn't agree more. Not only does it widen the book's readership but as I edited I realised the character actually made sense as as a girl. I don't know why I hadn't seen it before? Sometimes we are a little too close to our work and it takes fresh eyes to see the obvious. The Adamson family are set for a surfing holiday in Bali they’ll never forget. Dad wants to surf all day and Mum wants to shop. Zac is eager to explore a sunken WW2 shipwreck. Luke is keen to cause mischief wherever he goes. Clare on the other hand, just wants to stay out of trouble. But while building sandcastles on Kuta Beach, the kids unearth a surprising find that dramatically changes their holiday. Curiosity leads them on a dangerous path to an adventure where difficulties lurk around every corner. Secrets Hidden Below takes the reader on an intriguing treasure hunt around an exotic tropical island that includes plenty of rotten-egg gas, a guardian snake and a volcano spirit you definitely, don’t want to anger. I've written my bio for the publishers website and thanked them for their awesome words of encouragement. Part of their wonderful review reads 'our latest treasure is very much in the style of the classic mysteries we all loved, ( Famous Five, Secret Seven, Nancy Drew, Hardy Boys). Canberra author Sandra Bennett has written Secrets Hidden Below, a rollicking adventure set in Bali for children aged 7-10. What child couldn't resist a sunken Ww2 Japanese shipwreck, a message in a bottle, a treasure map, a guardian snake, lots of rotten egg gas and a volcano spirit? ' I am so humbled that my writing has been mentioned in the same category as my childhood heroes. The new book will be released in August during book week. Thanks Elephant Tree Publishing for having faith in me. Next my story will go off to the type setter. I will do one last proof read and we will be ready to send the book to the printer. School visits and book launches are next to plan.The chance to spend time reading, entertaining children and helping them learn is my favourite part of writing children's books. Being able to share read aloud moments with them and seeing their joy makes my day. Exciting times ahead. 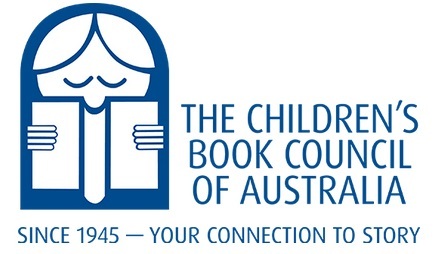 Are you are a teacher or parent in Canberra or Sydney who might like me to visit your school for a reading or writing workshop during book week or the weeks that follow? Please contact me here in the comments section below, my email gingerbreadaliens@gmail.com or through Elephant Tree Publishing. I would love to share my new chapter book with your kids. Now for the big reveal! Here is the cover! Book one in a series of five short chapter books for early readers. Full of fun, laughs, a bit of science, imagination, sibling rivalry and wonderful illustrations by Hayley Welsh. Entice your young readers with a glimpse into intrigue, fun and hilarious moments when three mischievous brothers discover the snow balling effects of their mistakes rather than facing the consequences of their initial disaster! A great read for ages 4-10 and beyond. Gingerbread Aliens is full of fun, laughter and entertainment that will have children and their parents giggling all the way to the end.